These churches separated from the Russian Orthodox Church, in protest to the reforms introduced by Patriarch Nikon. Even though persecuted in the beginning, the Old Believers’ community survives to this day. The Russian Orthodox Church removed the Anathema on Old Believers as well. The Russian Government is presently helping to restore the rights of the Old Believers in the country. There are several families of Old Believers such as Popovtsy, Bezpopovtsy, and several other related subgroups. Some of the Old Believers, like Edinovertsy, have come under the canonical jurisdiction of the Moscow Patriarchate, and others like the Russian Orthodox Old Rite (Popovtsy) have begun a dialogue for recognition within the Church of Russia. There are several churches that fall in this category: the Ukrainian Orthodox Church-Kiev Patriarchate, the Ukrainian Autocephalous Orthodox Church, the Macedonian Orthodox Church, the Montenegrin Orthodox Church, the Portuguese Orthodox Church and many more. Most of them are separated from mainstream communion due to historical and national issues, or canonical and political reasons. Some of them are partially recognized. Some of them are in dialogue with Eastern Orthodox churches to re-enter the communion. Old Calendarists and Traditionalists are Orthodox churches that use the historic Julian calendar and who remain out of communion with the mainstream canonical Orthodox churches. There are several types of Old Calendarist churches that are considered non-canonical by mainstream Orthodox churches. Some of them are Greek, Serbian, Romanian and Bulgarian Old Calendarist churches, but they are in communion with each other. There are canonical mainstream Orthodox churches (Eastern Orthodox and Oriental Orthodox-Russian, Serbian, Coptic and Ethiopian churches etc.) that use the old calendar, but they are not Old Calendarists. Western Rite Communities are part of Orthodox Christianity (Eastern and Oriental Orthodox Churches) but use Western or Latin Liturgies. These communities are found predominantly within Roman Catholic or Protestant hubs. In Eastern Orthodoxy, Russian and Antiochian Churches have canonical Western Rite communities. However, several independent Western Rite churches and communions are not part of canonical Eastern or Oriental Orthodox Churches. Western Orthodox Churches include the Celtic Church, the French Orthodox Church, the Orthodox Church of Gauls, the Catholic Orthodox Church of France, and the Milanese Apostolic Catholic Church. The Celtic Church, French Church and Church of Gauls are part of the Communion of Western Orthodox Churches. They recognize both Eastern and Oriental Orthodox churches maintain the same faith and order. A large number of churches belong to this category. Many were founded in recent times but claim traditional apostolic lineage. Some practices are a combination of Orthodox, Latin and Protestant worship patterns. Many such groups are often criticized for using ‘Orthodox’ in their names while their faith or worship styles are not Orthodox. Detailed readings on Old Believers, Old Calendar, Traditional, Unrecognized, Non-Canonical and New Generation Orthodox Churches (Eastern, Oriental, and Western Orthodox Churches) are provided below. Please note that many of the Old Calendar, Traditional, Unrecognized, Non-Canonical and New Generation Orthodox Churches change their communion circles, structure, and hierarchy time to time. Hence, details mentioned below are subject to change. Other, minor groups. The last two are active mainly in the diaspora. Synod of Chrysostomos (Kiousis) / Chrysostomites / Kiousites – by far the largest Old Calendarist Synod, reputedly followed by 70% of all Old Calendarists. Serbian True Orthodox Church – no hierarchy of its own; under the oversight of the Kiousite Synod. Synod of Maximos of Athens / Auxentites – a tiny group, made up of the clergy and bishops who had remained loyal to the late Archbishop Auxentios of Athens after most of the Auxentite Synod ousted Auxentios and proclaimed Chrysostom Kiousis as Archbishop of Athens in 1986. Holy Orthodox Metropolis of Boston (HOMB) formerly known as HOCNA (Holy Orthodox Church of North America). Known also as “Bostonites” and is classified as “Greek Orthodox Old Calendarist” but has a large “Russian True Orthodox” following and is actually in its origins a ROCOR break-away group. Following this group’s schism from ROCOR in 1986 it went under Archbishop Auxentios’s Synod, later headed by Archbishop Maximos. A few years later, following Auxientios’ repose, the bishops of what became HOCNA broke away from the Synod of Maximos. Synod of Cyprian / Cyprianites / Synod in Resistance (includes the Diocese of Alania, which religiously dominates South Ossetia) — is in communion with the Romanian and Bulgarian Old Calendarists (see below). The following four churches are the splinters of the ROCOR-V that formed in 2001 around the late Metropolitan Vitaly. Russian True Orthodox Church-Metropolia of Moscow (in communion with and originating from the UAO). Orthodox Church of Italy (Since the demise of Metropolitan Antonio Di Rosso, Orthodox Church in Italy does not exist anymore, even though the place was taken invalidate by Basilio Grillo Micei. 2) The UAOC – is in communion with the Russian True Orthodox Church under Met. Vyacheslav as well as with the tiny “Apostolic Orthodox Church” of Fr. Gleb Yakunin in Russia. 5) Historically, the Italo-Greek Church was comprised mainly of ethnic Greeks living in Sicily and Italy. Today, that original mission is carried out by the Greek Orthodox Archdiocese of Italy and Malta and Exarchate of Southern Europe, a diocese of the Ecumenical Patriarchate of Constantinople, with its See in Venice. The Church of Sicily is of Apostolic foundation, having been established by Sts. Peter and Paul. St. Peter ordained the Church of Syracuse’s first bishop and St. Paul preached in Syracuse on his way to Rome. For the first 700 or so years of the Church’s history, the Italo-Greek Church was under the jurisdiction of the Patriarchate of Rome. In the late eighth century, ecclesiastical jurisdiction shifted from Rome to the Patriarchate of Constantinople. When Constantinople fell to the Turks in 1453, the Italo-Greek Church was cut off from its Mother Church and faced virtual extinction. Yet, small pockets of Italo-Greek faithful remained throughout Sicily and Southern Italy as did a number of Italo-Greek bishops and clergy. This small community was able to survive despite harsh circumstances but not as an organized eparchy or diocese. Bishops were bishops of localities rather than of regions or provinces. Because of this, the bishops and clergy were able, with various degrees of success, to establish relationships among the “locals” (Sicilians) and small communities were established and grew. It is this work that the Italo-Greek Orthodox Church has continued to this day, although the work is still very difficult. Milanese Apostolic Catholic Church and Lusitanian Orthodox Church are all in communion with each other (all use the Old Calendar but are not considered as part of the Old Calendarist – TOC movement). As per information, the Holy Metropolitan Synod (GOX) of Patristic Calendar of Metropolitan Angelos of Avalon, have two Metropolitan’s: Christopher of Tbilisi, and Metropolitan Ioatam of Abkhazia, both ex-members of the Patriarchate of Georgia, who have established the True Orthodox Church of Georgia. There are several unrecognized Oriental Orthodox Churches; a few them are well-known historical Churches, while others remain inconspicuous. A prominent example is the Malabar Independent Syrian Church /Thoziyoor Sabha founded by Bishop Abraham Mar Koorilose and originating from the Syriac and Indian Orthodox Churches. Later, the Church fell out of the Orthodox communion. Afterward, they established communion with and received ordinations from, Protestant-oriented/reformed Marthoma Syrian Church of Malabar, which itself separated from the Indian Orthodox Malankara Church. There are other Churches like the Syro–Orthodox Francophone Church (an Oriental Orthodox Church based in France that practise Syriac-Malankara Rites), the Antiochian Syriac Orthodox Church (A group of Syrian Orthodox monks ordained by the Indian Orthodox Church established a Church in Europe, but later broke communion due to the illegal consecration of bishops. Presently this Church is a diocese of one of the Old Calendar Orthodox Churches of Greece), the Independent Malankara Orthodox Syrian Church (Consists of breakaway groups from the Antiochian Syriac Orthodox Church), the non-canonical Patriarch of the Eritrean Orthodox Church (Abune Antonios was deposed by the Eritrean Government, and Abune Dioskoros was installed. Abune Dioskoros passed away in 2017. Abune Antonios remains under house arrest), the Holy Synod of St. Athanasius Congregation for Egyptians and Middle Eastern Orthodox Christians (a group started by Maximus Youhanna, a former Coptic Orthodox member), the Ethiopian Orthodox Coptic Church of North and South America (another unrecognized group that claims they were founded by the Ethiopian Prelate Abune Mikael. They are associated with several unrecognized Orthodox Churches and Western Orthodox Rites). There are several unrecognized Oriental Orthodox churches; some are well-known historical churches, while others remain inconspicuous. A prominent example is the Malabar Independent Syrian Church/Thoziyoor Sabha founded by Bishop Abraham Mar Koorilose and originating from the Syriac and Indian Orthodox Churches. Later, the Church fell out of the Orthodox communion. Afterward, they established communion with and received ordinations from, Protestant-oriented churches like the Marthoma Syrian Church of Malabar, which itself separated from the Indian Orthodox Malankara Church. There are other churches like the Syro–Orthodox Francophone Church (an Oriental Orthodox Church based in France that practices Syriac-Malankara Rites), the Antiochian Syriac Orthodox Church (A group of Syrian Orthodox monks ordained by the Indian Orthodox Church established a Church in Europe, but later broke communion due to the illegal consecration of bishops. Presently this Church is a diocese of one of the Old Calendar Orthodox Churches of Greece), the Independent Malankara Orthodox Syrian Church (Consists of breakaway groups from the Antiochian Syriac Orthodox Church), the Ethiopian Orthodox Church—the Holy Synod in Exile (A group of bishops under the former Patriarch Mekorios of Ethiopia established a Church for several historical, canonical and political reasons. This Church is operated from the USA. However, in 2018, this Church united with the canonical Ethiopian Orthodox Church to form one single Ethiopian Orthodox Church), the non-canonical Patriarch of the Eritrean Orthodox Church (Abune Antonios was deposed by the Eritrean Government and Abune Dioskoros was installed. Abune Dioskoros passed away in 2017. 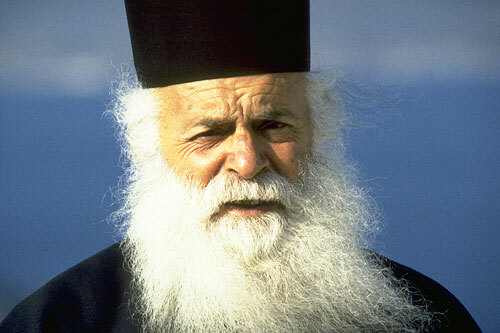 Abune Antonios remains under house arrest. ), the Holy Synod of St Athanasius Congregation for Egyptians and Middle Eastern Orthodox Christians (a group started by Maximus Youhanna, a former Coptic Orthodox member), the Ethiopian Orthodox Coptic Church of North and South America (another unrecognized group that claims they were founded by the Ethiopian Prelate Abune Mikael. They are associated with several unrecognized Orthodox Churches and Western Orthodox Rites).